One thing to mention: This command is sensitive to the type of the column where it is called from. So in the first example, where we called it from a text-column, the 4th argument of the function has automatically been set to “Replacer.ReplaceText”. 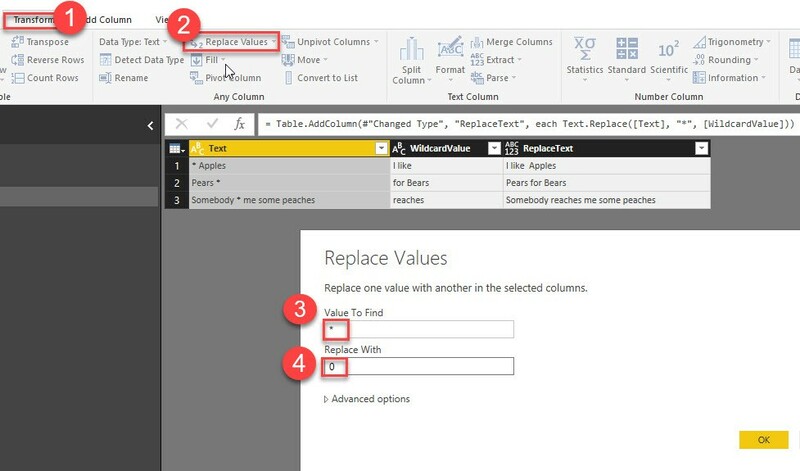 But in the 2nd example it is call called from a number-column and there it has been set to “Replacer.ReplaceValue”. 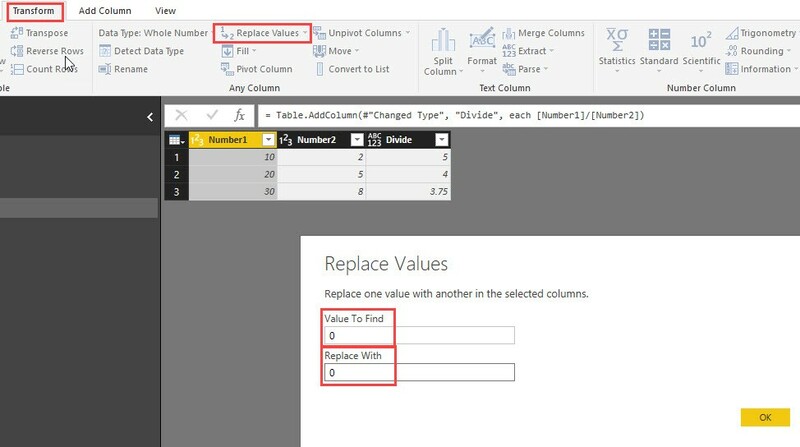 This has served us well here, but can lead to unexpected errors in some other cases: When you want to replace the values of a text-column with a value from a number-column, you have to wrap the reference to the number-column into a “Text.From(…)”, to transform the number-value into a text-string. Helpful article, thanks for sharing. = Table.AddColumn(PreviousStep, “New Column Name”, each [Item 1] / [Item 2], type number) ? Personally, I’d end up without the type-definition at the end, because I’m always using the UI for this step and forget to transform there. But the definition for sure makes sense, as you don’t have to transform column types later. Actually, I whish that this type would be defined automatically for numbers, once one has done mathematical calculations. Thanks. I had a same problem many times, and my solution was to use AddColumns, although I knew about Table.ReplaceValue function. I was blinded with the old habit. There is also a function Table.ReplaceMatchingRows which could come handy if you wish to fix several columns at once. Thank you & yes: We still miss the transformation for multiple columns. Table.TableReplaceMatchingRows seems to require a match-definition of all columns, or am I mistaken here? Really? This sounds like a bug – will need to investigate. Thx for hint. no, I didn’t. Actually: I don’t expect this to be possible, so I have stopped searching.